Welcome to Troop 78 in Lincolnshire, Illinois! Troop 78 is dedicated to helping boys develop by promoting Scouting ideals! Troop 78 provides outdoor activities, allowing the Scouts the opportunity to explore, learn, lead and grow. This supports the Troop goal of providing a safe environment that allows Scouts to have fun while learning skills, leadership and world citizenship. The annual holiday fundraiser is the only fundraiser conducted by Troop 78. The fundraiser is conducted for a variety of reasons. Most importantly, each Boy Scout earns a portion of the sale proceeds. The proceeds are utilized during the year to offset the costs related to the various outdoor adventures. Secondly, the fundraiser provides the Boy Scout with the opportunity to develop leadership skills, as they are involved with conducting sales, managing inventory and executing product deliveries. 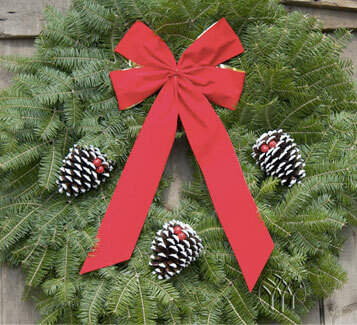 The fundraiser consists of fresh evergreen products such as wreaths, sprays, garland and mini Christmas trees. We also sell World Famous brand boxed candies and hand dipped quality Chanukah candles. Prepaid orders are collected for the annual fundraiser from October 1 through October 25. Product is delivered during the week of Thanksgiving and may continue through the first week of December.